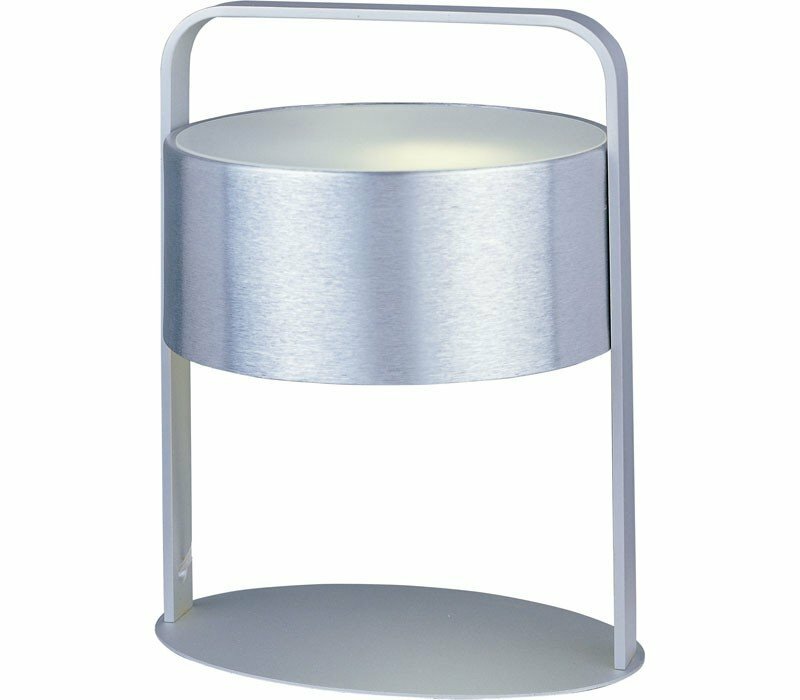 Make a simple, yet bold statement with the ET2 Percussion table lamp. 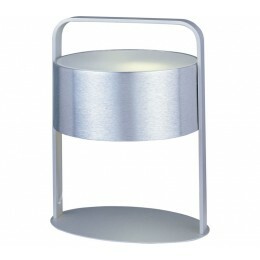 The Percussion table lamp features a clean, minimal design with brushed aluminum drums affixed to a gleaming chrome bar. The frosted glass diffuses soft halogen lighting that is ideal for task or accent lighting. If you're a fan of warm lighting, select a halogen bulb for your lamp.The Energy Star compliant lamp consumes less energy than standard table lamps, and distributes light more evenly than standard table lamps. The compact frame is ideal for small end tables or desks. The chrome and brushed aluminum finish complements industrial and modern home decors.